One afternoon when I was searching the web for ideas for the upcoming birthdays and new babies, when I ran across the cutest bedtime comfort toy and I had to learn more. (My favorite part!!) At night time when your little one is ready for bed, push the tummies of their Night Buddie and the eyes light up like headlights!! The eyes will stay on for about 2 minutes and turn off on their own. They can be turned on over and over again until your kids are fast asleep. The batteries will last for about 2 years! Since my daughters' birthdays are so close, I always throw them a party together. They love it, but I also try to make sure they both get a present on their birthday's as well and when I received 3 Night Buddies in the mail, I knew just who to give them too. I didn't receive Haley the Convertible, even though I have girls. 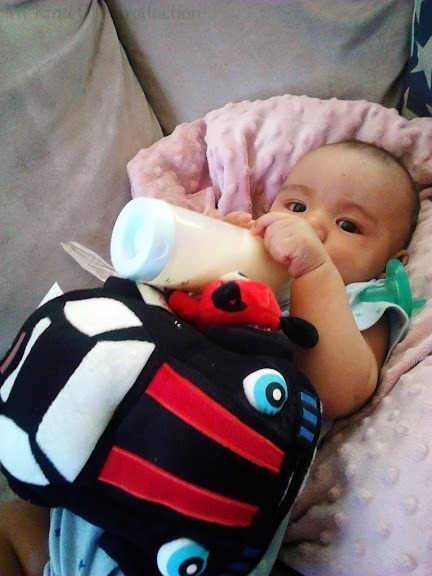 I figured that since their was only 1 girl car, I couldn't give it to just one daughter but if they both received one of the other cars then no one would fight and they would both get a glowing toy that they will enjoy. Even though my girls are 6 (my oldest is about to be 7 soon), they still enjoy a light at bedtime and some night-lights are too bright. The darkness can be scary sometimes but the headlights on Night Buddies is just enough light to ease those fears and help relax the kiddo's to sleep. I gave my daughters their Night Buddies on Jade's Birthday. 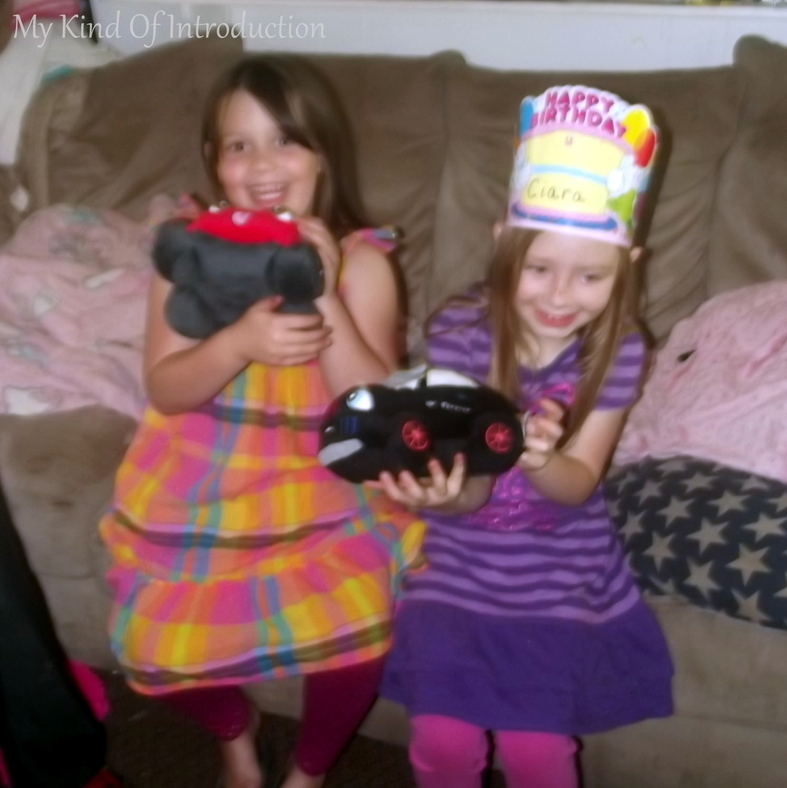 I decided to let the girls chose which car they wanted and the smiles on their faces was heartwarming! They had been eyeing a black box in my closet for a couple days and was itching to know what was inside... Now they knew! The first thing they did was run to the bathroom, shut the door and turned off the light! They wanted to see the headlights in action! Jade got WC Racecar while Loran chose the Mac. They both decided that the cars were girls and were going to be their new best-friends! Everyone in our neighborhood has seen the Night Buddies, due to Loran and Jade's love for their new plush toys. They can't get enough of pressing their belly's at night and squeezing them tight! My third Night Buddie, AC Airlines the airplane, hasn't made it to his new home yet but I know that my baby cousin will LOVE his new little friend because when my daughter let my friends baby play with her Night Buddie, he couldn't get enough! 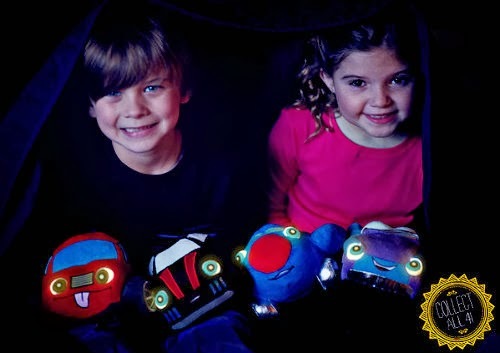 Night Buddies are the perfect gift for any child who needs a little extra comfort at bedtime! They are soft, plush and a great size for snuggling. Another cool thing about Night Buddies is that you can find each Character's Story in downloadable form, on their website, so you can read them as Bedtime Stories! Coloring pages and Printable Stickers are also available! All the downloadable items are FREE! How cool is that?! I couldn't be happier to be a part of the launch of such a WONDERFUL toy and brand like Night Buddies! I made a Video of my friends baby while he was playing with my daughters's Mac Night Buddies Toy! Night Buddies has agreed to a giveaway and you won't believe how many winners they have chosen!! Check out the Light Up The Night - Night Buddies Giveaway and win a Night Buddies plush for your kids! 8 Lucky Readers will receive 1 Night Buddies Plush of their choice! Those are awesome! Our oldest is sleeping with his room light on again. He really needs something like this. I'm definitely going to check them out! Thanks! Your very welcome! They really are great, I'm sure you son would love a Night Buddie to help ease him. Oh my - these are super cute! 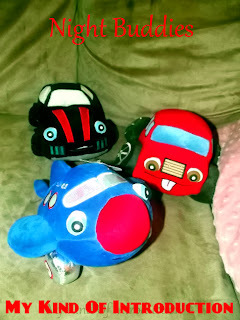 My youngest would LOVE these since she loves cars AND needs a nightlight to go to sleep! I just love these night buddies. So cute!! These really are adorable and will make great gifts. I love these toys! It is nice to see that they have great options for boys. These are just the greatest! I wish they were around when my son was young.